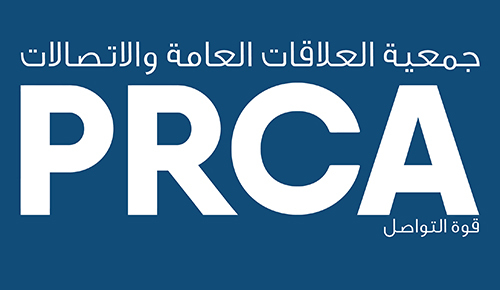 PRCA MENA believes that the best client-consultancy relationships are true partnerships, where both client and consultancy deliver against key commitments to achieve common goals, and where each partner understands and respects the commercial and operational imperatives of the other. This 10-point Charter is intended to help client organisations and their PR and communications consultancies work together as effectively and as productively as possible; to ensure that consultancies can deliver their very best work to clients within agreed budgets, and that clients get the value and return on investment from their consultancies that they need and expect. Both client and consultancy will strive to comply with all the points of the Charter. Where that is not possible, for whatever reason, we will commit to open and honest discussions to seek alternative agreements. We will agree clear two-way working processes for key programme elements (e.g. sign-off; reporting; progress meetings; reviews) and stick to them. We will ensure that mutually-agreed, clearly-articulated expectations are set and agreed at the start of the relationship and reviewed on at least an annual basis. We appreciate that the quality of a consultancy’s output will be in direct correlation to the quality of our input so we will always aim to commit time for briefings and updates. We will treat the individual members of the consultancy team with the same respect and integrity that we would show to our own employees. We appreciate the importance of working flexibly within the terms of our contract and aim to have systems and processes that meet the client’s current and potential needs. We will manage expectations when it comes to working flexibly. We will aim to ensure continuity in our account team to build shared expertise and stable points of contact. We will commit time to understand our clients’ brands, audiences, and products so that we are mindful of the brand stretch and limitations and always suggest client-appropriate ideas. We will supply comprehensively written briefs with clear objectives and success criteria, which include broader business objectives and information on other marcomms activity (if available). If a written brief cannot be supplied, we will set aside time to meet with the consultancy to discuss our goals and enable them to construct their own brief. We will set budgets with clear parameters including provision for planning, execution, evaluation, and contingencies. Our evaluation should follow AMEC best practice (Barcelona Principles 2.0) and, as a minimum, we will never accept AVEs as part of our evaluation. We will deliver timely responses to briefs based on the best advice and insight (including a sound understanding of the client’s business), strategic thinking, experience, and creative execution. We will develop relevant (and, where appropriate, innovative) proposals with the potential to be executed through all appropriate communications channels. We will always submit proposals which can be achieved within the client’s budget, although we may also offer additional options should further budget be available. Our evaluation should follow AMEC best practice (Barcelona Principles 2.0) and, as a minimum, we will never include AVEs as part of our evaluation. Whenever possible we will give the consultancy reasonable timescales (a number of weeks, rather than a number of days) for responding to briefs, to enable them to interrogate the brief, conduct insight programmes as necessary, develop overall strategy, and present accurately-costed programmes. We cannot achieve our best work, and find the best partner for that work, if we do not offer consultancies the time they need. We will deliver material, on or before agreed deadlines, which is concise and accessible when submitting proposals or responding to briefs. We will build in ample time for the client to respond ahead of the start of an activity. We will be open and honest if we believe that timescales cannot be met because this relationship is a two-way process. We appreciate that consultancy time is a finite, measurable resource. We accept that increases in demands on the consultancy over and above original briefs will need to be funded or that other activities must be reduced in proportion. We appreciate that the late cancellation of planned-for projects can impact the consultancy’s ability to manage its resources. We will attempt to avoid late cancellation, but where it is unavoidable we acknowledge that the consultancy should be recompensed for resources provided but not utilised. For peace of mind, how a cancellation is handled financially should feature in our contract with the consultancy. We know that delayed payment to our consultancy is unethical, impacts their cash flow, is unsustainable, and affects their ability to pay significant costs including talent and real estate. We therefore commit to paying our consultancy within 30 days. We acknowledge that client budgets are not infinitely elastic and that we must work as closely as possible to the parameters set by the client. We will give the consultancy clear, frank, and timely feedback on pitch proposals, continuing campaign recommendations or other materials submitted for approval. We will be prepared (if necessary) to challenge briefs and the client’s response to our proposals, with opinions based on sound insight, strategic thinking, and honesty. We will ensure that the client’s business objectives are paramount in everything we do for them. If a truly integrated response is required we will aim, where possible, to brief all agencies at the same time – and before plans have been finalised by the internal team – thereby ensuring that consultancy input is gained from the outset, and that campaigns will then be truly integrated and channel neutral. We will ensure that awareness of the consultancy’s brief and progress extends across our business (senior management as well as the wider communications team). It is our responsibility to communicate the outputs and outcomes of our client-consultancy relationship to our colleagues on an ongoing basis. We will educate the in-house marketing and communications team so that they fully understand how and when they are required and able to interact with the consultancy. We will invest time in ensuring that the entire account team gains a deep understanding of the client’s business (and, importantly, with clear objectives, success criteria, and broader business objectives that form the core of this understanding). We will be cognisant of the client’s wider business objectives when developing PR and communications plans. We will help the client communicate the value of PR and communications activity to an internal audience by ensuring that the business case for all activities is fully developed. We will build a range of contacts within the client’s stakeholder group to help maximise the effectiveness of our work. We recognise that in dealing with colleagues in your organisation we are ambassadors for your team – and for the PR and communications industry itself – and will always act professionally. We will ensure that the consultancy has as wide a perspective of our business as possible, by sharing insight and knowledge and – when appropriate – facilitating strategy briefings led by senior management. We will ensure that the account team remains well trained and fully abreast of latest developments and techniques within the PR and communications industry because we are committed to continuous professional development. We appreciate that meaningful, evaluation of PR and communications activities – based on key performance indexes and AMEC’s best practice and frameworks – are essential, and that budget needs to be allocated for this. Our focus will be on maximising the value of the investment in PR and communications and delivering meaningful and measurable outcomes. We will evaluate our work – based on key performance indexes and AMEC’s best practice and frameworks – regularly to ensure that standards maintained to the highest level.